It's not a secret that I enjoy games on Nintendo systems, and the Wii was my most played system of the last generation consoles (PS3, Xbox 360, and Wii). The Wii U has been my most played system over the last year though, and I have really enjoyed my time with the games on the system. Every "next generation" home console system is now out in the U.S., though the newest two (PlayStation 4 and Xbox One) might be kind of hard to find right now. While the Wii U released last year and I bought it day one, I have not purchased either the PlayStation 4 or the Xbox One. Why? Well, in short, because I'm pretty cheap. I have never purchased more than one console each generation, when they first release. I have always started with buying the lowest priced console in any new or "next" generation, and then usually pick up additional systems as their prices drop. If you own a Wii, PlayStation 3, or Xbox 360 and are debating on buying a Wii U, PlayStation 4, or Xbox One this holiday season, which one would I recommend? 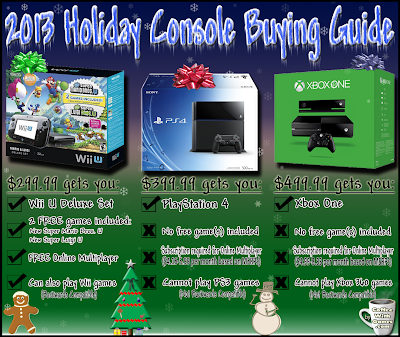 Brew yourself some coffee, and take a look below at CoffeeWithGames' 2013 Holiday Console Buying Guide! If you can't tell from the image, the Wii U is the new "next" generation home video game console I would recommend this holiday season for the many people that might be trying to make that decision. For me, the Wii U being backwards compatible with Wii games (and even using Wii Remotes and Nunchuks in some Wii U games) is a big selling point for the system for current Wii owners. If you already have a collection of retail Wii games, or even downloaded some Virtual Console games, you can transfer most of your save files from your Wii games and your Virtual Console games to your Wii U console. 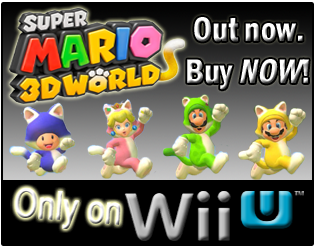 I think another big selling point for the Wii U this holiday season is that it is now being bundled with New Super Mario Bros. U and New Super Luigi U. Some stores are also still selling the "Limited Edition" Wind Waker HD Wii U bundle set for $299.99 as well. If you are looking at getting a Wii U console for someone for Christmas (or, other holiday), but not sure which game(s) to get them, here's a way to help figure it out. If you just casually ask them, "If Mario and Link were to get in a battle, who would win? ", you will probably quickly find out which character and game series they enjoy more, and can decide to buy them either the Wii U Mario or Wii U Zelda bundle without them even knowing they helped! The last generation of consoles, I ended up getting the Wii first, because it was the lowest priced console at the time. And even with the Wii's friend code issues and lack of online voice chat (for almost 2 years), I spent many hours playing games like Call of Duty: World at War, Monster Hunter Tri, The Conduit, and GoldenEye 007 online. I really liked that Nintendo didn't charge for the Wii's online multiplayer service, and I was really glad to see Nintendo keep the Wii U's online multiplayer free. 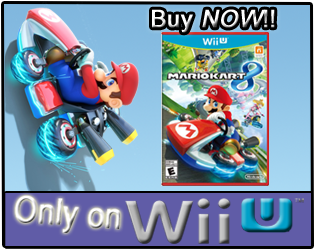 If you don't want to have to have a monthly subscription to play online multiplayer in games like Call of Duty: Ghosts and Assassin's Creed IV, then going with the Wii U might be your best decision now. As always though, if you have any questions about the Wii U in general, feel free to send me an email or leave a comment below. 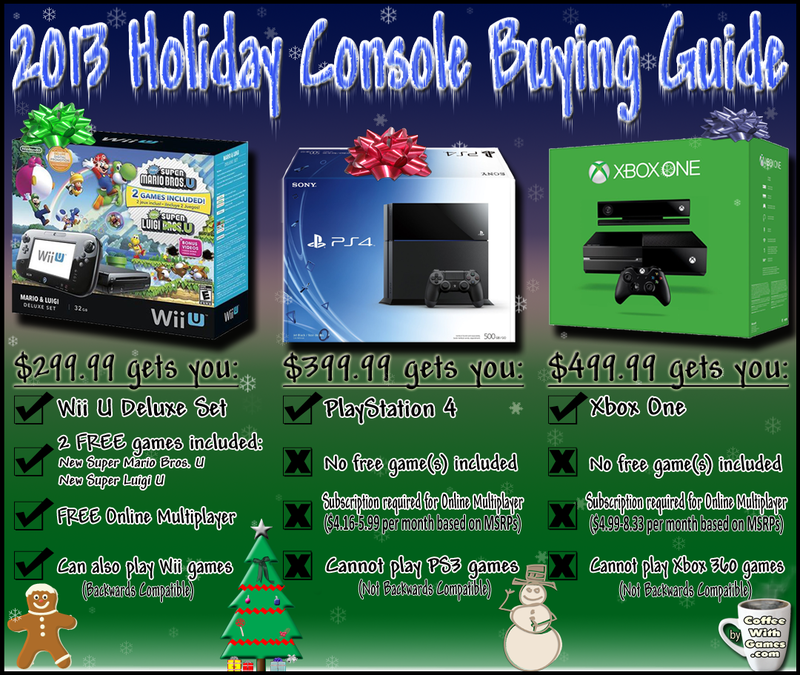 Are any of you looking at getting a PlayStation 4, Wii U, or Xbox One this holiday season? If you have already made your decision on which one(s) to get, what influenced your decision the most? Also, if you didn't know much about the new systems, do you think the "Buying Guide" would be any help to you in making a decision and things to consider? PS4 has PSPlus, for instance. Yes, you need to pay to play online, but considering that fee also includes literally 1-2 free games per month, for an overall yearly cost of about one game, it's a good deal. There's also the obvious power increase in both consoles when compared to the Wii U and significantly better non gaming features for people that might want their boxes to do more than just play games - something that's important to a lot of families/ parents. Personally I'm not picking up either the PS4 or Xbox One until next year, since I'm more interested in games than playing console wars, and neither the PS4 or Xbox One offer experiences that I can't also get on current gen systems, but I do think its disingenuous to compare them to the Wii U and suggest that there is literally no reason to get either. Actually, if I was to recommend a console for Christmas, I would be recommend either handheld. That's where the really interesting stuff is happening these days, and you can't go wrong with the 3DS, Vita or iPad. This was a comparison basically based on price (my cheapness, if you will), games included (or, not), and those features like online play and backwards compatibility out of the box. Not that I don't like the PS4 or Xbox One and that there aren't reasons to get one of them. If you want a console with a Blu-Ray player, the Xbox One and PS4 are probably a good way to go. I didn't think about that out of the box for those, and probably because I wouldn't use either for that reason though. But some would definitely see that as a benefit. We actually bought a separate (cheap) Blu-Ray player for watching movies, because I don't like using game systems for watching movies. Less wear, less tear thinking. I'll probably end up with one of them at some point down the line though, as I have had multiple consoles over the last several generations. The PS4 having PSPlus is a nice carrot (like the infomercials, "BUT wait, order now and we'll double your oven mitts! "), and I think Microsoft is doing something similar now? I heard from a friend that grabbed an Xbox One that Killer Instincts was free for early adopters? On the "other non gaming features" though, what are you talking about specifically? The Wii U has Netflix, Hulu+, and Amazon Video apps, which are all the big subscription video services in the U.S. and I know many parents use those (mainly Netflix) to entertain kids. Maybe the Blu-Ray player? The Wii U's internet browser is great for YouTube on the TV/GamePad though, and I use it with the Beans all the time for YouTube videos (the actual YouTube App is horrible IMO). I can highly recommend parents with young children use the Wii U's browser to help their kids learn stuff. Is it a regional thing maybe, and Nintendo not making all those apps/services available in different countries (like Nintendo TVii is apparently still only a U.S. thing). "Actually, if I was to recommend a console for Christmas, I would be recommend either handheld. That's where the really interesting stuff is happening these days, and you can't go wrong with the 3DS, Vita or iPad." Bean 1 will be getting a handheld under the Christmas tree this year! Outside of the Wii U, which I plan to get soon, I'd probably look at PS3 or PS4. and even though PSPlus is probably a good deal, there's just something about a monthly subscription that I can't get behind. As for blu-ray players, agreed with Coffee that I'd rather not put the wear/tear on a gaming system. Standalone players are pretty cheap these days plus include all kinds of apps anyway. "Outside of the Wii U, which I plan to get soon, I'd probably look at PS3 or PS4." If the PS4 was backwards compatible would you still look at the PS3 because of its lower price, or would that not matter as much because the PS4 could play PS3 games as well? "Standalone players are pretty cheap these days plus include all kinds of apps anyway." Yeah, we own a PS3 which has a Blu-Ray play, but bought a separate Blu-Ray player once we got an HD TV, because I didn't want the wear/tear on the PS3's disc drive. It's actually how I got my PS3 from the guy that had it before, the disc drive stopped reading discs and instead of fixing it, he just went and bought a new one. Thanks for stopping by! Do you own a PS4 yet? "Long-term I think the PS4 still appeals to me the most based on the game lineup I see down the pipe..."
You know, I was actually surprised to see you grab Madden on the PS4, instead of the Xbox One due to the EA/Microsoft deal. Long-term is interesting to me, because I'm just really curious to see what Nintendo ends up doing with games like Zelda and the Metroid series on the graphical side (cel shaded Metroid Prime Wii U?). While the Wii U is Nintendo's first HD console and more power is nice, I'm hoping that other than the graphical side, they can come up with some interesting spins on existing genres like what ZombiU did with asymmetrical gameplay using the GamePad. On the Xbox One, I think it'll be interesting to see how much Kinect is used, and if it will be used more for Kinect exclusive games, than on the 360. Since you said it in a comment (I've been avoiding saying it outright, for fear of your family members maybe seeing it!) though, have you had a chance to do the initial setup on the other console that will be arriving Christmas morning for the family? Haha - thankfully none of them are reading my site lately - let alone here (sorry, I try to get more people here, lol). If you remember some comments from myself and @Robert over the last month or so, talking about rearranging your closet, not leaving it, and your family wondering where you were...that's what we were hinting at/talking about. Joking that maybe you had set it up and left it hooked up in the closet to get some play time in while you were "rearranging your winter clothes". lol - yeah, and while that sounds good in theory... small closet. :P I did have it set up in my den on release day (need a bit more room for that sensor bar, lol!). It was pretty funny though. My son was like: why are you kicking me out of the den so early tonight? "If the PS4 was backwards compatible...."
Good question. PS4 BC with PS3 adds immediate value to me, so I'd be more willing to plunk down $400 vs $200-250 despite my usual cheapness. Streaming _possibilities_ down the road don't count - buying real media _NOW_ matters to me as that expands the library while PS4 builds up titles. Sounds like nintendo is still going through HD development growing pains, but hopefully that clears up soon. Would be interested to see other cell shaded titles as well along with some clever use of the gamepad. Power seems to be becoming more and more an anti-reason to get a console, especially if you remember developers complaining about how expensive it was to make an HD game during 7th Gen, and how many sales they would have to make for it to break even, and are silently screaming "Then develop for the Wii you idiots!" I wouldn't say more and more power is an anti-reason, unless the prices don't make sense. Certain developers/publishers like having more power, because they make/license engines based around "more graphics, better graphics". Epic with the Unreal engine, it's why they were an early partner on the Xbox 360 with Microsoft. They were able to produce Gears, and help show other developers what the Unreal Engine 3 was capable of doing on the system early on. Crytek is another developer, that produces the CryEngine that they can/do license out. It can produce great looking games, but for the average gamer and developer, it might not matter. Thanks for the comment and feedback, and for the RETWEET on this post! No problem. I appreciate that you take the time and effort to reply to all your comments. I try. Sometimes I may miss one comment that doesn't show up right (or, in my email). Or, if there are comments happening across various articles, but I do try and reply/acknowledge all comments at the very least. Sometimes I'll "Vote up" just so they know I did see the comment, if I have already replied to other comments from them on a post.